Ostgut Ton reissues Drei of Zehn with original tracks by Function and Substance as well as Len Faki remixing L.B. Dub Corp.
2015 marked Ostgut Ton’s ten-year anniversary, celebrated with an extensive 30 track compilation release, titled Ostgut Ton | Zehn, spread out over ten 12“ vinyl records housed inside a limited box set. This sampler sold out in no time, which is why Ostgut Ton is re-issuing these ten 12"es individually in 2016. 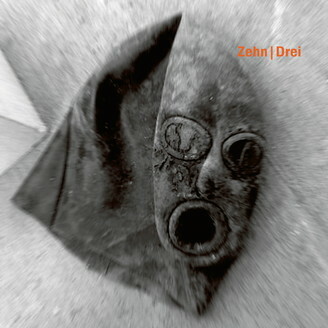 Zehn | Drei is an unfussy record on the one hand – three Techno tracks and therefore stylistically cohesive overall – but a personnel- and sound-wise multi-layered 12“ on the other hand. Luke Slater (as L.B. Dub Corp), Dave Sumner aka Function and Len Faki all feature on A, Faki’s reinterpretation of “Roller feat. Function” is a subtle but intensifying update of the original’s nuanced kick drum. On B1 Function sets his focus on pulsing, modulating, warm synth basslines with subjacent, haunting blankspaces and a straight drum beat. Lastly Substance aka DJ Pete offers a fleet-footed stomper with lots of drive and tribalism, and there’s even some jacking vocal samples to top things off. “Keine Angst” – don’t be afraid.